Tokenization is the process of replacing PAN data with a surrogate – or token – value. Properly executed, tokenization allows merchants to reduce their PCI scope, simplify their PCI compliance, and be more secure. 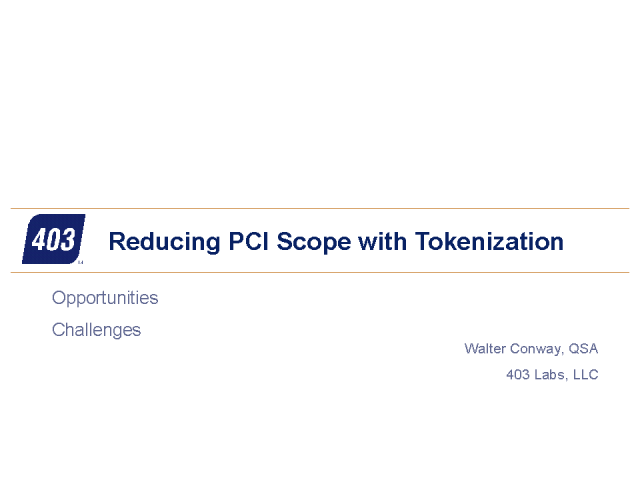 The key words are “properly executed.” We will take a QSA’s look of how tokenization works, how it can reduce (not eliminate) your PCI scope, some potential challenges, and which implementation option may be best for your business.